Every Monday morning Elizabeth Madrid kisses her husband Colin Jones goodbye not knowing if it will be the day she is locked up and sent for deportation. 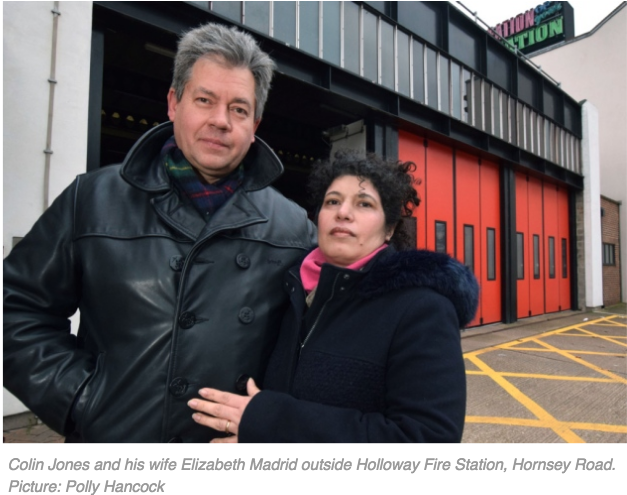 As she nervously enters Becket House immigration centre in London Bridge to sign on, Colin, a firefighter at Holloway Road, is made to wait outside. The pair say the stress of not knowing if she will come back out is too much, but they must go through it every week. They fell in love after meeting at the fire station where Elizabeth, who is Bolivian, worked as a cleaner. After getting married in 2015 they sent off for a visa but were made to wait an agonising 12 months for a response – and it was not the one they wanted. They told Elizabeth she had to leave the country within 28 days. 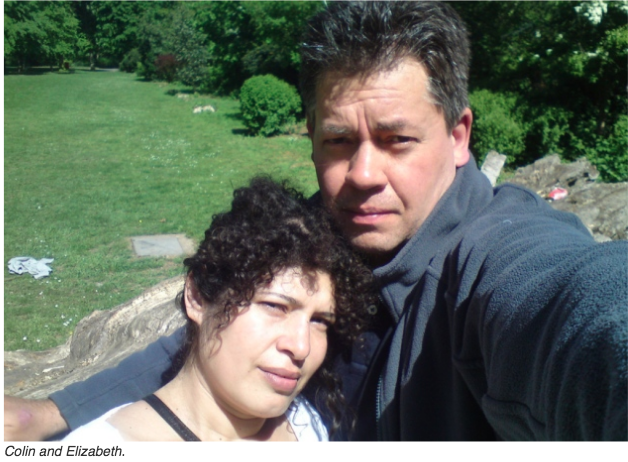 Elizabeth arrived in England in 2003 on a visitor’s visa, before getting a student visa and studying English. An extension was refused by the Home Office and she was told to leave, but never followed up the order and she started working, paying taxes and national insurance. She has never claimed benefits, nor committed a crime. “They told us if we wanted to be together we had to go to Bolivia,” said Colin. “I’m dumbfounded by it all. The weekly trips to the immigration centre are the worst part. “Immigration centres are a real eye-opener. They talk to you like you are nothing. Elizabeth is just waiting to be deported basically. It’s so stressful. “Every time she goes I think she’s going to be taken to the deportation centre. They can just detain her and then give seven days’ notice before putting her on a plane. She can go any time. Colin was told a contributing factor for the rejection was that the papers were submitted from England and not Bolivia. Now Elizabeth has stopped working, Colin has taken on a second role as a part-time decorator and money is tight. 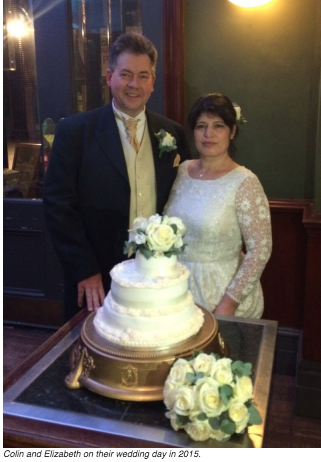 A petition supporting the couple has reached more than 5,500 signatures in a month. A Home Office spokesman said the decision was made because Elizabeth had no leave to remain and “did not meet the requirements of the immigration rules for the category in which she applied”. This entry was posted in Bolivia, Social Unrest and tagged Bolivians abroad, immigrant. Bookmark the permalink.